Let us find you the most affordable and most reliable book printers in Hong Kong, China, and Asia and take care of the entire printing process from start to finish! Submit your specifications and we will negotiate with several printers in Hong Kong and Asia to get you the best quote. Approve pricing, submit your files and receive full color hard copy proofs and binding dummies in as little as 5-7 days. Approve your finished printed copies and OK for shipping to anywhere in the world. We take care of delivery and customs. Artful Dragon works directly with the Printer in Hong Kong so you don’t have to. We will oversee the entire printing process from vendor selection, negotiations, print production, quality checks, payments, shipping, customs and delivery to your front door. This is all included in our low pricing! As an International Print Broker we carefully select Hong Kong book printers that can deliver a superior finished product for our clients. With our help you can get the most affordable full-service book printing in Hong Kong for much less and in most cases, much sooner than even local printers. We’re a US based international print broker located in Sammamish, Washington. We have a second office in Shenzhen, China for the fastest, most reliable service. We work for our clients (not the printing companies) which means we are in a position to get you the most competitive book printing quotes. 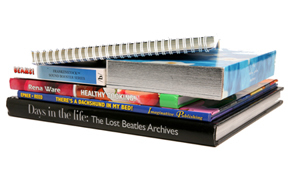 We have developed relationships with a number of trustworthy, high quality international book printers. We have 14+ years of experience and know what orders should go to which printing factories in Hong Kong or elsewhere in Asia to get you the best pricing and highest quality product. We take care of the entire printing process for so that you don't have to deal with all the unknowns. For more information and to learn how we can get tremendous savings for you, Get a Printing Quote from Artful Dragon for the production of your next book, calendar, catalog or other printing project. We'll show you how to get better quality printing and service by using our Asian or other international printing companies. 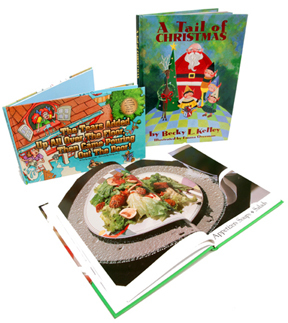 As a U.S. based print broker, Artful Dragon provides quality printing for books, catalog, brochure, calendar, four color printing, etc. in China, Hong Kong, Singapore, India and other Asia based countries using reliable, high quality Asian and Chinese printers. Why Print With Artful Dragon?